Take this opportunity to have beautiful, luxurious furniture designed by Jorge Kurczyn. 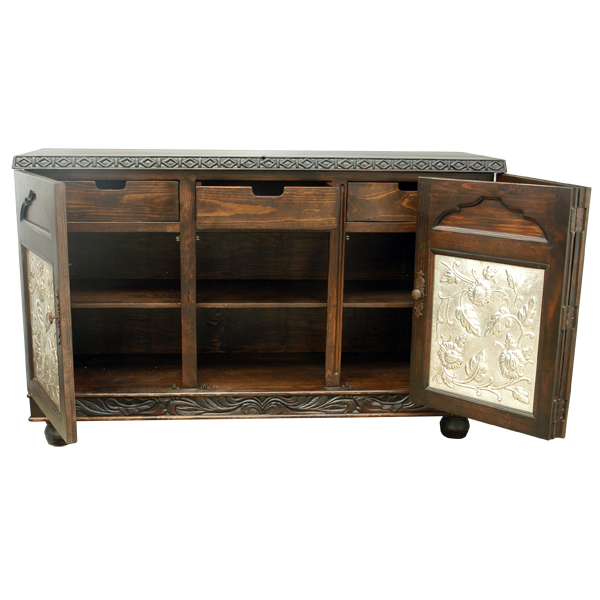 This lovely credenza was designed by Jorge, and it has an open, wide top, and the top rim has ornate, hand carved, geometric designs. The credenza has three, magnificent, silver finished, hand hammered and hand tooled copper panels. Each panel is adorned with intricate, hand tooled, floral designs. The top of each panel has a luxurious, solid wood, arched cut design, and each panel has a hand forged, pull handle on its side. The panels open to reveal three, top drawers and a centered shelf. 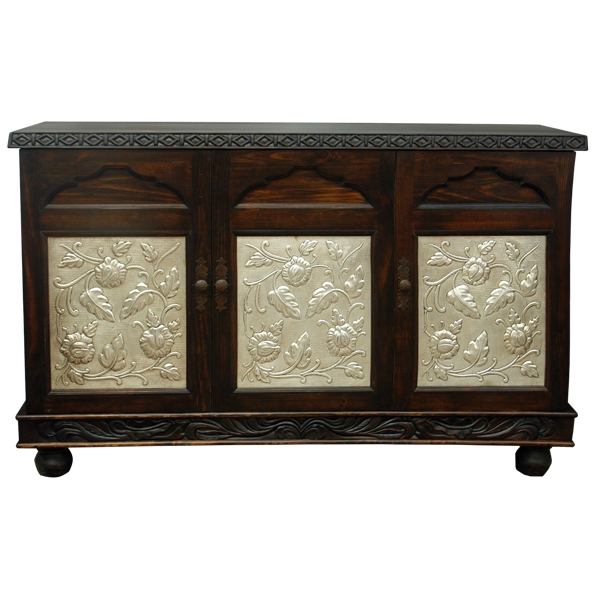 The base of the credenza is decorated with hand carved, floral and scroll designs. 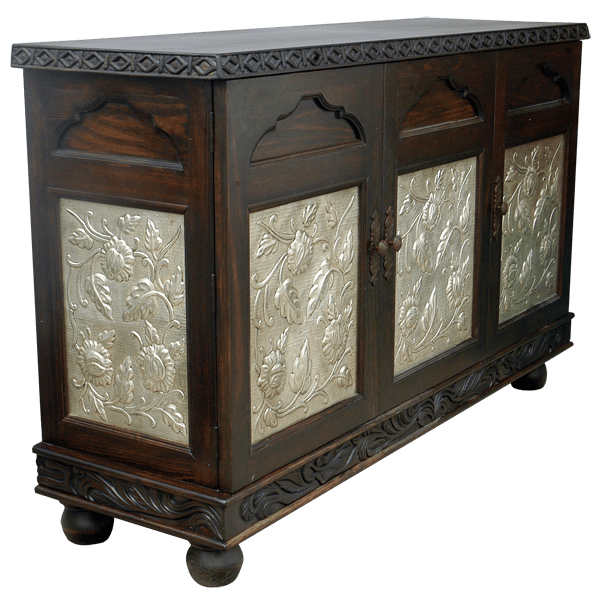 The lateral sides of the credenza have matching, silver finished, hand hammered and hand tooled copper panels with hand tooled, floral designs. The credenza rest on hand turned, bun style feet, and it is finished with a dark stain. It is made with the best, sustainable, solid wood available, and the credenza is 100% customizable.